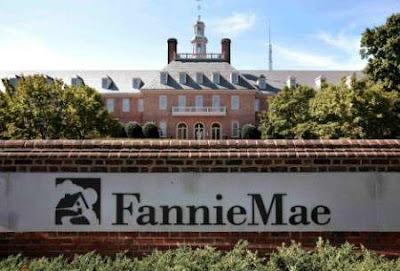 Last week, I was talking to a hedge fund manager in CA about Fannie, Freddie and the preferreds. He didn't like the story because it was too complicated, but he liked the common. Has anyone noticed the action the the common stocks? FNM closed at 1.10 on 224 million shares and FRE closed at 1.60 on 171 million shares. All this action supposedly means nothing to the bears, who tell us that the foreclosure/preforeclosure/late mortggae % is now up to 13.6%. That is true, but don't let those facts get in front of a good story. Here is the link of the following names, and they could make great investments. Click on the link, and click on the PDF files, and what does it make you want to do? Does anyone want to go through 144 or 114 pages of a prospectus? Which is why there is opportunity. FNM and FRE are just the lazy man's play on the preferreds. But FNA also gives good action. But if the common stocks have come alive, what does it mean for the others? The problem is, no-one likes to play the preferreds. Why bother when you can juke around with the common, at less that a fraction of a penny spread, and with an exceedingly deep market? The preferreds trade by appointment and have a bigger spread. I know most people use yahoo finance, so I'll give you some symbols of the preferreds to check out. If the preferreds trade around $2.50, it's the $50 preference, $1.50 or so, it's the $25. OK--a lot of numbers and preferreds. But now you have to go to Freddie Mac! Bottom line--If the common has value, so eventually will the preferreds. And the preferreds in both Fannie and Freddie are slowly creeping up in value. They are investments, but they are working!